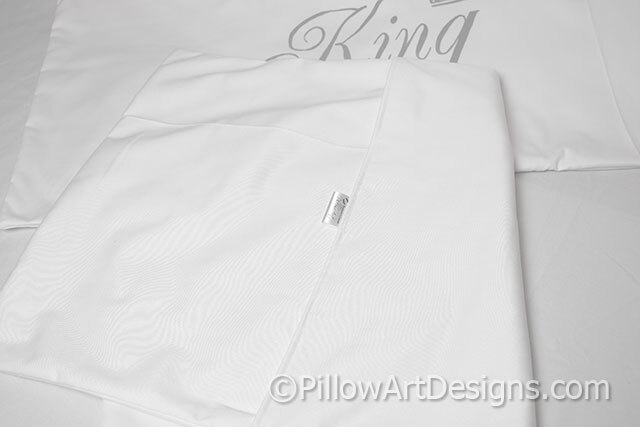 King and Queen pillow shams, sized to fit king sized pillows 20 inches X 36 inches. 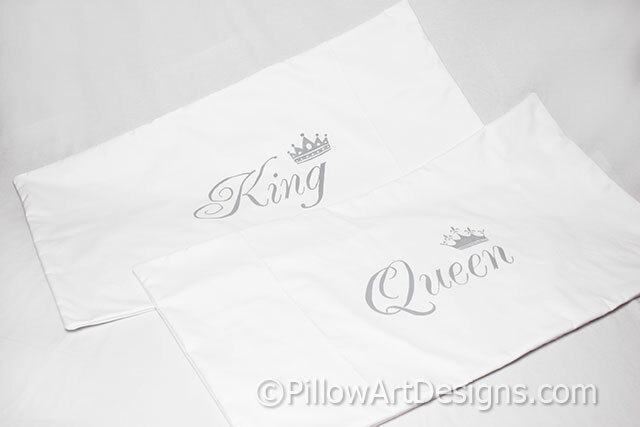 The words King and Queen, each with crowns above, hand painted on fresh white cotton twill. For the very best results and long life, spot clean or hand wash in cold water, lay flat to dry. Note: these pillow covers are made to order, please allow one week for me to complete your order.